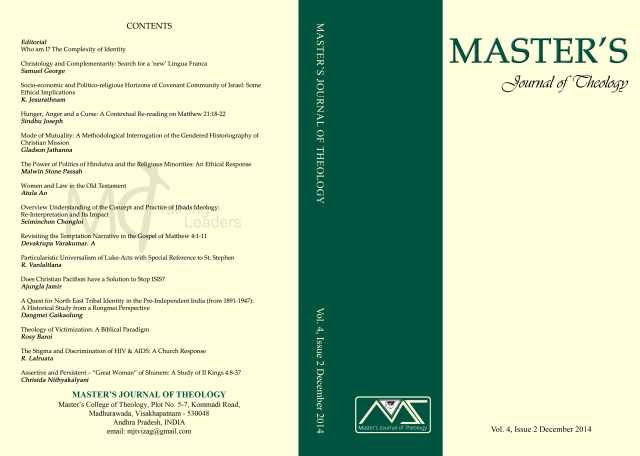 The latest issue of Master’s Journal of Theology, Volume 4, Issue 1 (June, 2014) is being circulated now. 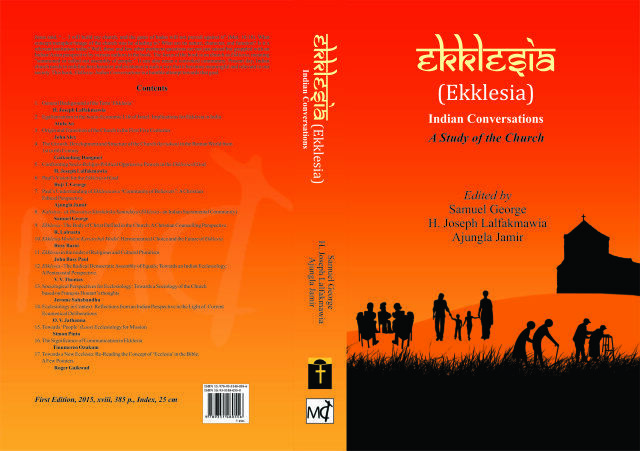 Annual Subscription within india is Rs. 150.00; Abroad, USD 30 only. The soft copy of MJT (encrypted) are attached below. 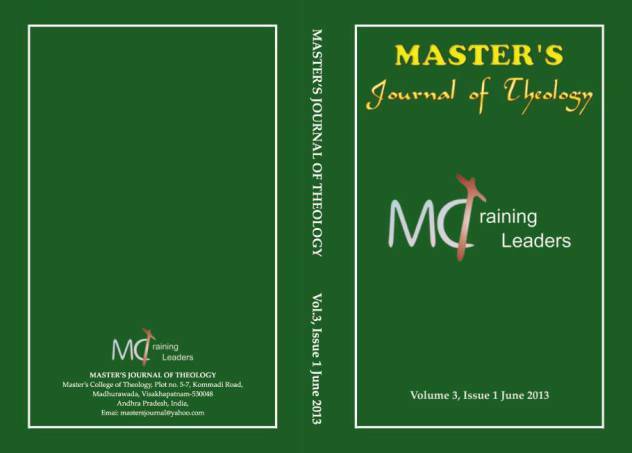 6) Master’s Journal of Theology Volume 4, Issue 2.